It's been a strange few weeks, since I moved to Truth or Consequences, New Mexico. 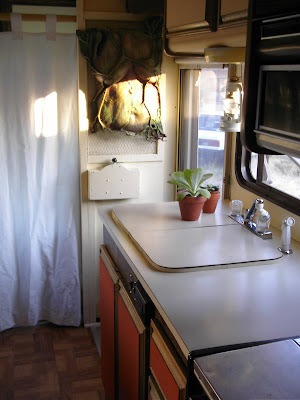 I will be in and out of Tucson, but I've rented a small studio here, and have bought "Lucy" to an old trailor park with a 1940's bathhouse (T or C is famous for its hotsprings), just a few blocks from the peaceful Rio Grande. Since I've been here I've kind of lost my sense of time.......what locals refer to as the "New Mexico Effect". Land of Enchantment indeed. 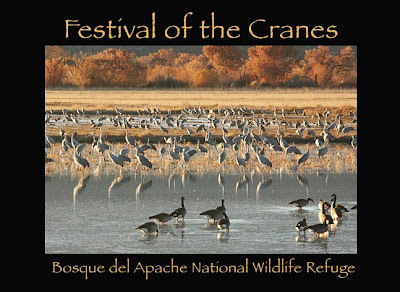 Festival of the Cranes, at the Bosque del Apache wetlands. This is where the migrating cranes come.............so wonderful! An event attended by thousands, and drawing many artists as well. 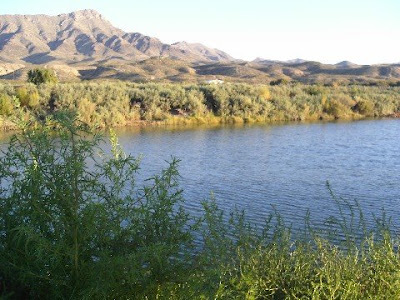 I can't believe that I'm living now beside the RIO GRANDE ("Great River"), in TRUTH OR CONSEQUENCES. 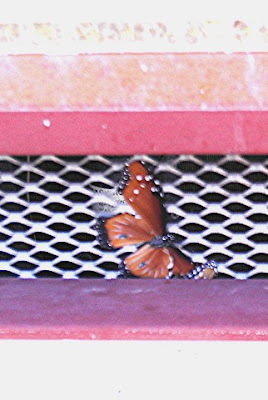 There's some kind of metaphor in there. 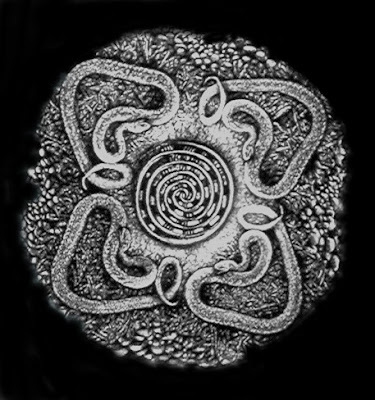 As the painter Alex Grey said to me a long time ago, "I don't know why I do these things. There's an internal logic that doesn't necessarily reveal itself at the time". Here I am........I think, to heal, and to open. And that is what this place of ancient hotsprings is admirably suited for. Legend has it that before the Europeans came, this place was sacred to a number of native peoples, and they had an agreement to cease all traditional feuds and warfare when here so that all could enjoy the healing waters. Geronimo came here. When the white settlers came they actually filled in the hot springs (I'm not sure why, but it certainly says something interesting about our cultural heritage). They were not opened again until decades later, when the "wild west" was much tamer, and "taking the waters" became popular, and the railroads made "New Mexico Hot Springs" (which later became T or C because of the game show host) accessible. There are many old bathhouses, some of them crumbling, from the 1930's and 1940's. There is also a building with the legend "Magnolia Ellis" on it, currently occupied by a chiropractor. Apparently Magnolia was a famous energy healer and medical intuitive who practiced here in the 50's. They say people would wait to see her in a long line whenever she was open. 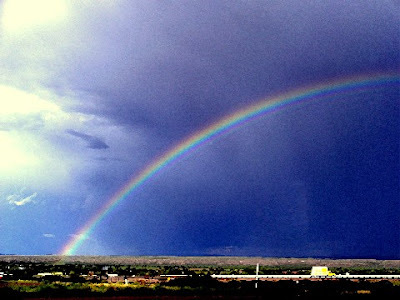 My mind clears in the extraordinary brilliant high desert light of New Mexico, my spirit clears beside the peaceful river, my body eases in the hot waters that come right up out of the Earth here. The urge to paint, to just immerse myself in vision, is so strong here. Theres a community here of artists and mystics as well, living simple and frugal lives to pursue their spiritual and creative means..........I am surprised at not only their friendliness and the clear openess in the eyes I look into here, but their sophistication as well. I've heard some potent poetry at the (only) poetry group's meetings on Sunday at the (only) coffee shop, which is also a used bookstore. The same coffee shop I bought a copy of the Nag Hammadi Library from (a steal at $4.50). This community, because of its isolation, poverty, and because, I believe, the spirit of place as well, fosters a feeling of fellowship and mutual concern. What use competition or judgement here? There's nothing much to compete for, no one to impress! I guess I've spent so much time in Brushwood because I crave the same small community good heartedness. I've been here barely 2 weeks, and already have a short stack of books people have given me, food, and (of course) lots of helpful advice. I think of a movie I saw a while back called "Off the Map". It's about, well, a group of people who live "off the grid" in New Mexico, and the way the land itself changes them. I can't help but feel that Spider Woman is alive and well here..........after all, the logo of the state is Spider Woman's Solar Cross. I finished finally the hopefully last edition of my "Masks of the Goddess" book, a rather massive undertaking. It features many beautiful photographs by Thomas Lux and Peter Hughes. Its available to view on http://www.blurb.com/books/400085. I realize now that I've been so obsessed with finishing this book before Samhain because it was Samhain of 1999 when I began the project, and first saw that miraculous procession of living Goddesses emerge from the darkness of Ft. Mason Center for the Invocation of the Goddess at the Spiral Dance. That will always be one of the most wonderful moments of my life. Finishing the book is really my way of honoring the Goddesses, and the many people, as I now conclude and document my 7 year project. May this book keep the inspiration alive, and do justice to the privilege I was given. This is what I found on the grid in the front of my motorhome, when I parked Lucy. I will take this as a little blessing for, once again, my new life. the innocent and the wise. these grey bardos in their solitude. Labels: Halloween, Persephone, Samhain, the "Witche's New Year"
and boxed, their faces familiar and serene. glad of bread, a fire, a little companionship. 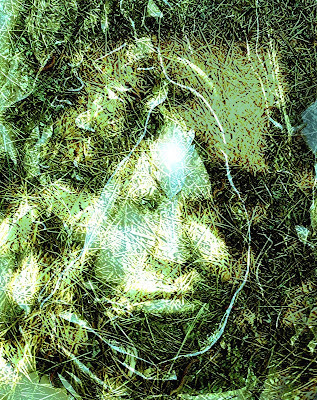 in some unseen Bardo, unreleased, ungrieved. Traditionally this was the time to celebrate the "Witche's New Year", the last Sabbat or sacred day (which is why it's called "Halloween", or "Hallowed evening". It is the closing of the old year, the last harvest festival, a time to honor the ancestors and all the events and gifts of the dying year as they prepared for the entry into the darkness and the long dormancy of winter. The veils between the worlds were very thin, and places were set at the banquet table for the spirits of those beloved dead who had passed on. 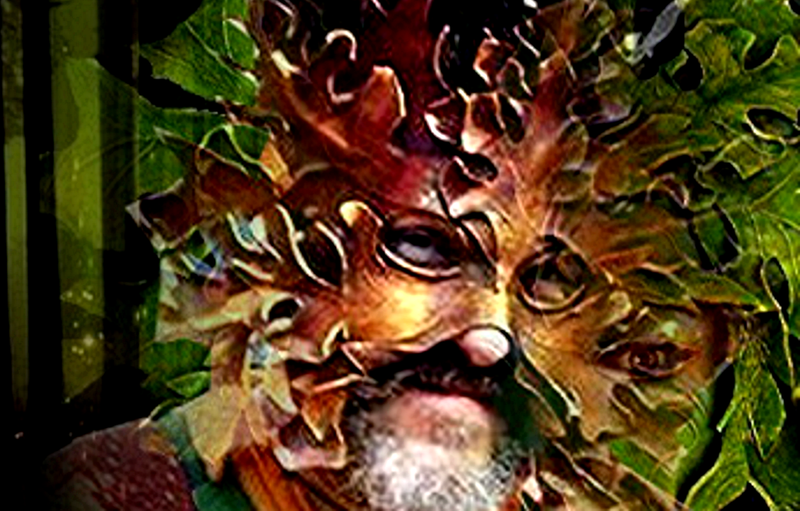 You might see in any number of ancient Celtic communities people enjoying the last fresh apples, honey mead and beer, toasting and remembering the invisible ones, seated at the table, their plates heaped high as well. "Welcome, Welcome". Inherent in this celebration was a profound respect for the wheel of the year, always cycling, through human generations and through natural cycles of death and re-birth. This, of course, is the real sacred origin and meaning of Halloween, which, although fun for kids to be scared and for adults to stage masquerade balls, has slid far away from it's sacred potency. Spirits, coming close to this world to join the feast, sometimes like to play tricks, hence, "trick or treat"..........it's not good, of course, to fail to leave a place at the table for Uncle Angus on such a high holy day! And of course, the skeletons and ghosts and witches................how funny it is to me sometimes that people love these things so much on Halloween, while they have no understanding of their origins or meanings. Like the "Witch and her broom". The Broom is associated with many folk traditions of "sweeping away the old bad energies" - purification rituals for the home and Hearth (Heart). 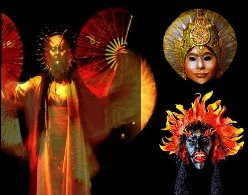 Peter Hughes, the photographer whose photos of my masks I am eternally grateful to. 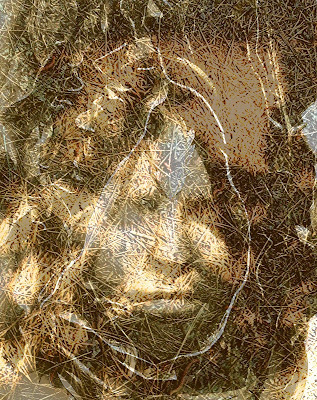 Judy Foster, whose face became the mask of "Hecate", and who so magically gave me a home and community years ago, when my wandering spirit found its way to Berkeley. Sequoia, fiery redhead activist I knew there. Ilana Stein, who I met in my April class at Kripalu, and whose vision of the "White Goddess", and her poem and masks ....... was a true gift to all of us from the divine. Dellie Dorfman - Cranky mentor and friend from my days as a psychic reader. Bob Meyer - beloved friend from Vermont, who always gave me a couch and good advice. and so many others: Here's lifting that glass of mead to all of you. A place is set at the table. "So much in American life has had a corrupting influence on our requirements for social order. We live in a culture that has lost its memory. Very little in the specific shapes and traditions of our grandparents pasts instructs us in how to live today, or tells us who we are, or what demands will be made on us as members of society. The shrill estrangement some of us feel in our twenties has been replaced by a hangdog collective blues. With our burgeoning careers and families we want to join up but its difficult to know how or where. The changing conditions of life are no longer assimilated back into a common watering trough. Now, with our senses enlivened – because that’s the only context we have to go by – we hook change onto change ad nauseum." Artist's Art Park Trailor Park? On a prosaic note (especially in light of current economic news) I would like to introduce my new low-energy (at least, when standing), recycled & remodeled (by me), reasonably priced ($3,500.00), alternative energy (solar panels coming), no mortgage, no property taxes, movable HOUSE. Who says you can't buy a house for under $4,000.00? Her name is "Lucy". For obvious reasons, motor homes are quite inexpensive these days. While they often don't last long in the demanding weather of the East Coast, my Lucy was created in 1988, and was lovingly cared for by an elderly couple here in the Southwest. I have all the luxuries, of course, microwave, tv, bathtub, refrigerator, oven, air conditioner, etc. The only times my new home gets expensive is when I drive her anywhere, which is something I don't plan on doing very often - soon she will be settled in for the winter in a nice trailor court in Truth or Consequences, New Mexico. I've had a lot of fun renovating the interior. Maybe not Architectural Digest, but I'm proud. 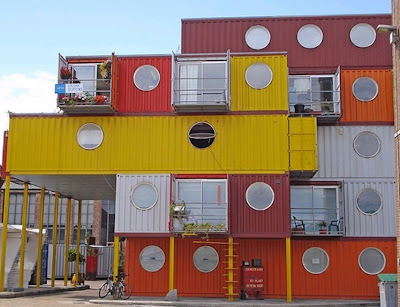 I was reading recently about a group of artists in England who are converting old trucking containers into affordable community housing. I'd like to point out that the same can, and has, been true of trailors and motor homes, especially if they are taken off the road and kept in a more or less permanent setting. Building a roof cover can eliminate the problem of roof leaks, floors can be preserved by mounting on cinder block, etc. 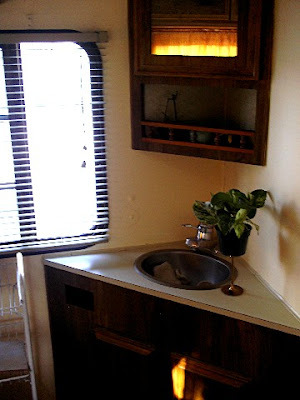 I think of some permanently housed 1960's trailors I saw at a community in Mimbres, New Mexico which had been built into larger housing complexes (and still going strong) - one had even been incorporated into a "rammed earth" design. 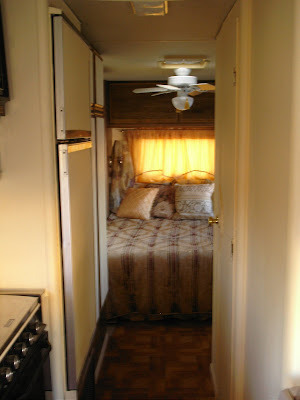 The advantage of recycling trailors and motorhomes for housing is that they are cheap (and used ones are getting cheaper all the time), ubiquitous, can be moved just about anywhere because they incorporate the marvelous invention of the wheel, and they are already (usually) fully equipped "houses", saving the problem of having to do wiring or plumbing, etc. They are designed to run on propane as well as gas and electricity, and solar panels can be adapted. I once saw a school bus that had been outfitted with a woodstove as a portable sauna.......perhaps something like that could be done to a trailor as well by a creative carpenter. The point of all this is that for years it's occurred to me it's an option for artists and other cultural creatives, at least for those seeking a place to winter. Imagine what would be possible if there was an "Art Park Trailor Park", and artists were invited to live and work there, provided they did something innovative and creative to the trailors they brought? (as well as some central planning and shared facilities). Anyway, fun to imagine. I've found nothing like that in my searches. Now to head to New Mexico.